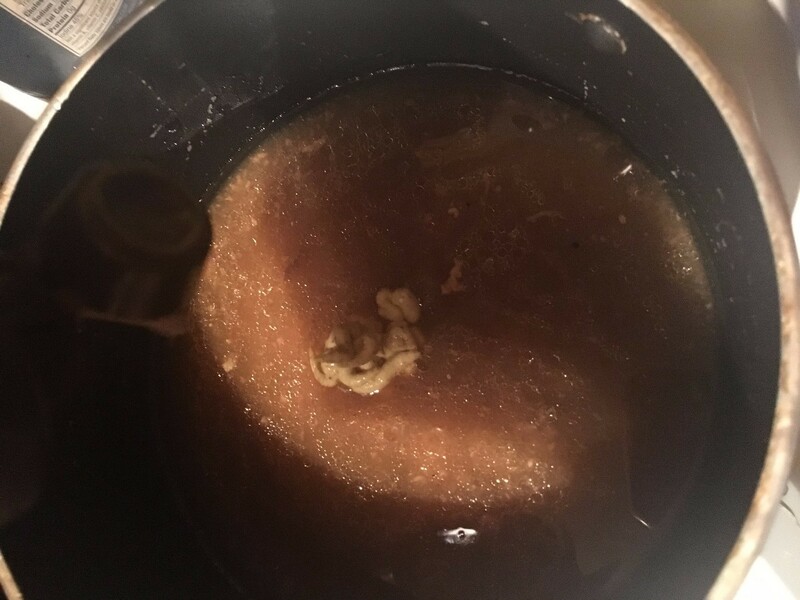 I don't know if other people make chicken like this but I came up with this recipe when I ran out of things to cook with. 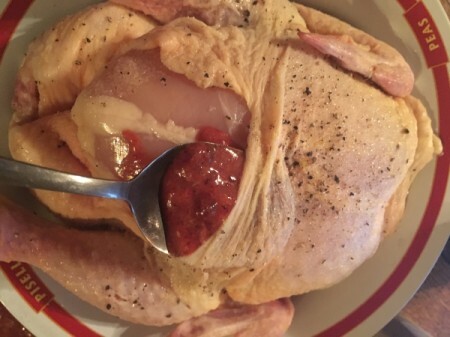 Smeared with my favorite breakfast jams, I was a bit nervous about how this chicken would come out. 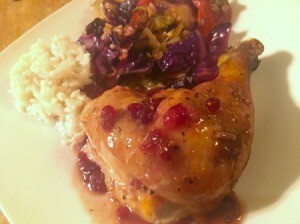 Thankfully, it was one of the most delicious sweet and savory roast chickens ever. I hope you try this! Preheat oven to 400F. 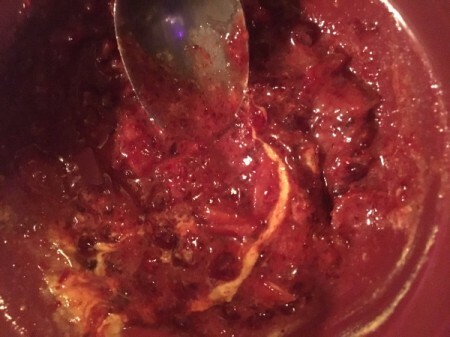 Mix together the jam, marmalade, and one of the tablespoons of mustard in a bowl. 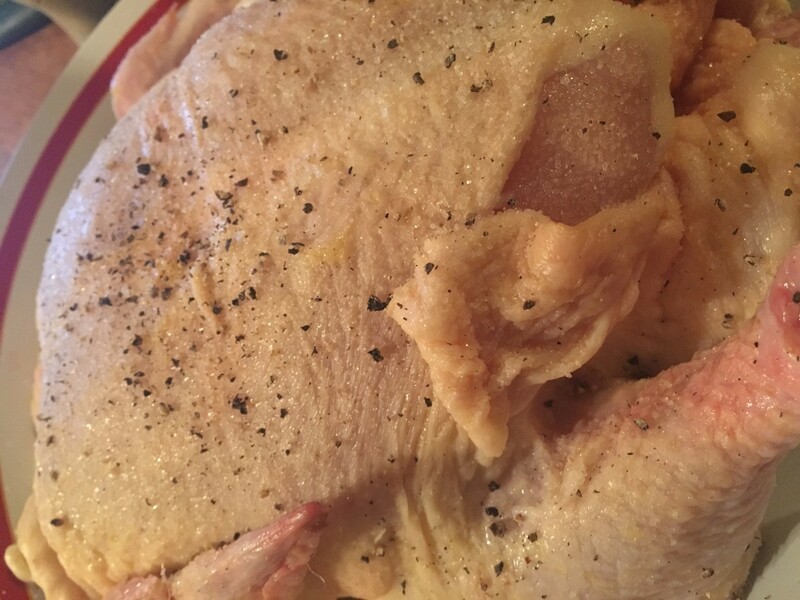 Make tiny slits in the chicken skin around the breast and thighs. Lift skin all around and sprinkle with salt and pepper inside and out. Spoon the jammy mustard mixture under the lifted skin, around the breast, drums, thighs, and on the backside. 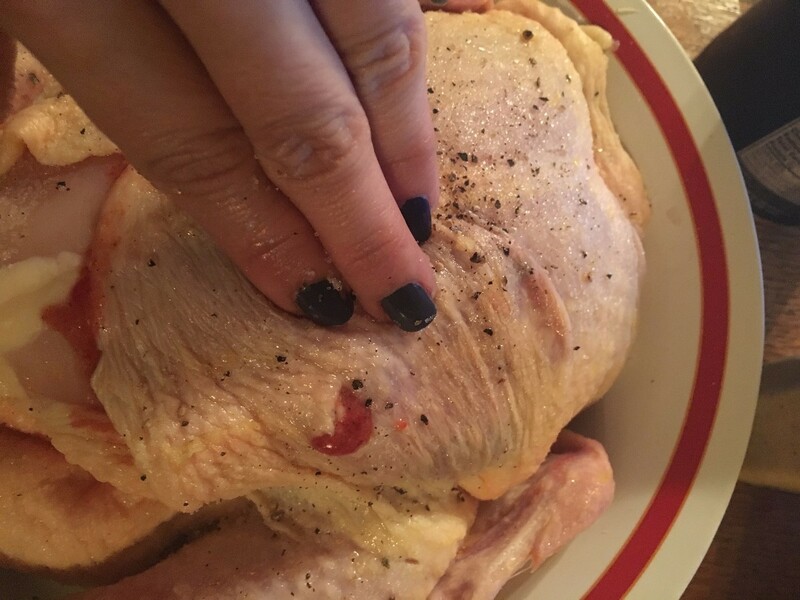 Use your fingers to massage the mixture into the chicken from over the skin. 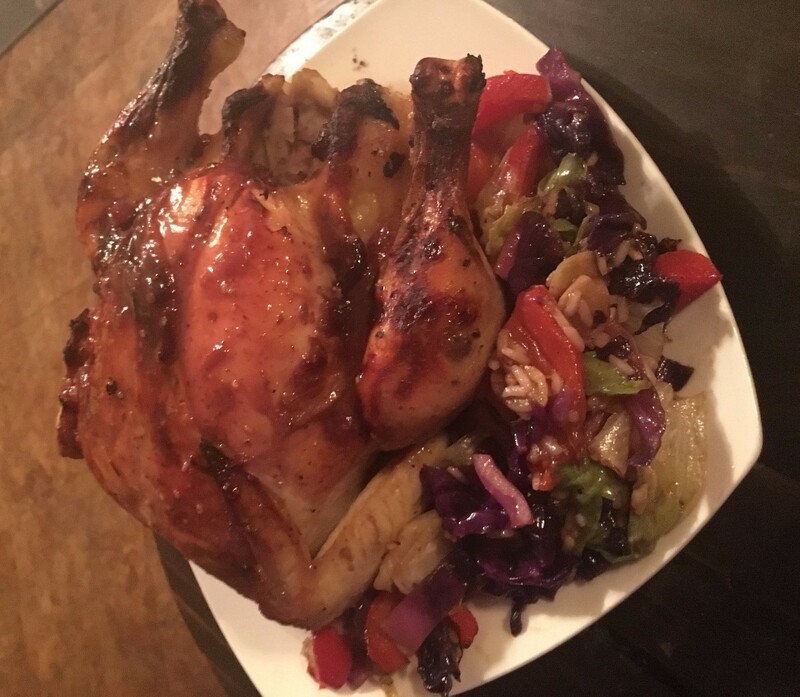 Place the chicken face down on a roasting pan or pyrex dish. Bake for about 20 minutes. 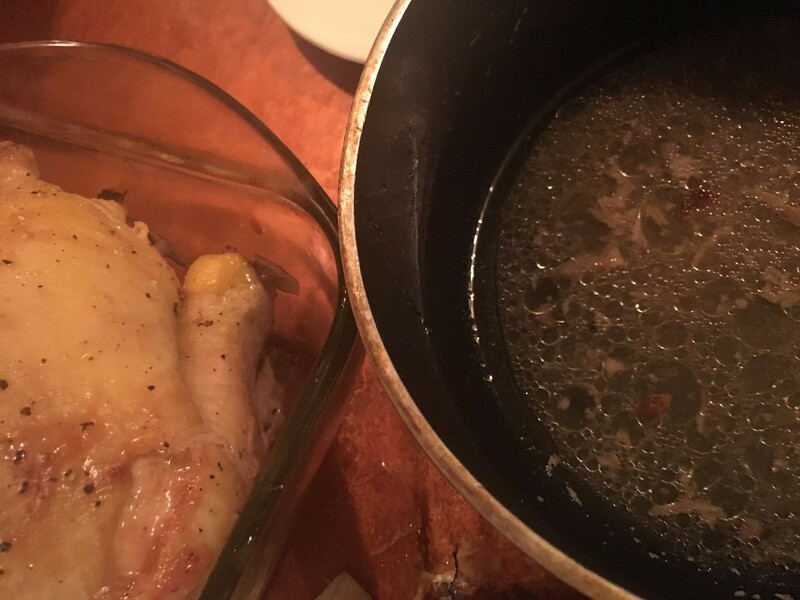 Remove chicken from the oven and pour the chicken juice out into a little saucepan. 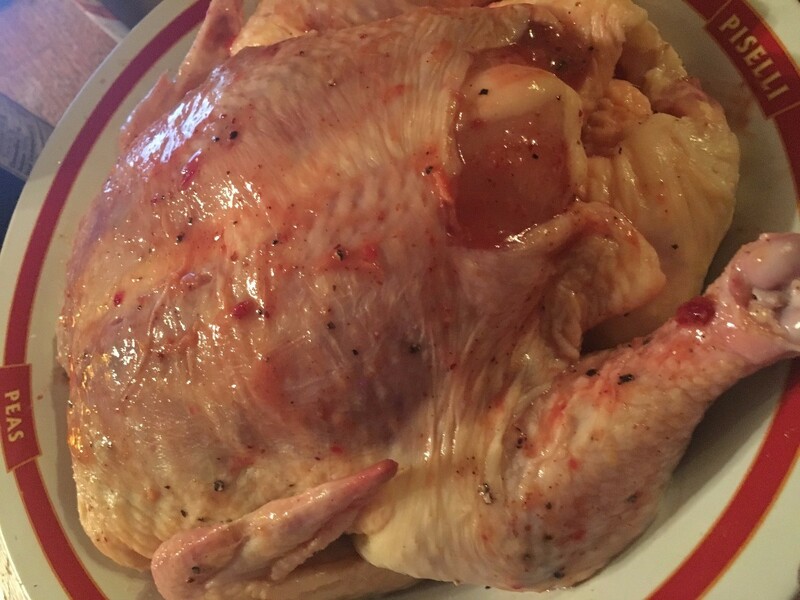 Flip the chicken over so the breast side is up. Return to oven and bake for 20 more minutes. 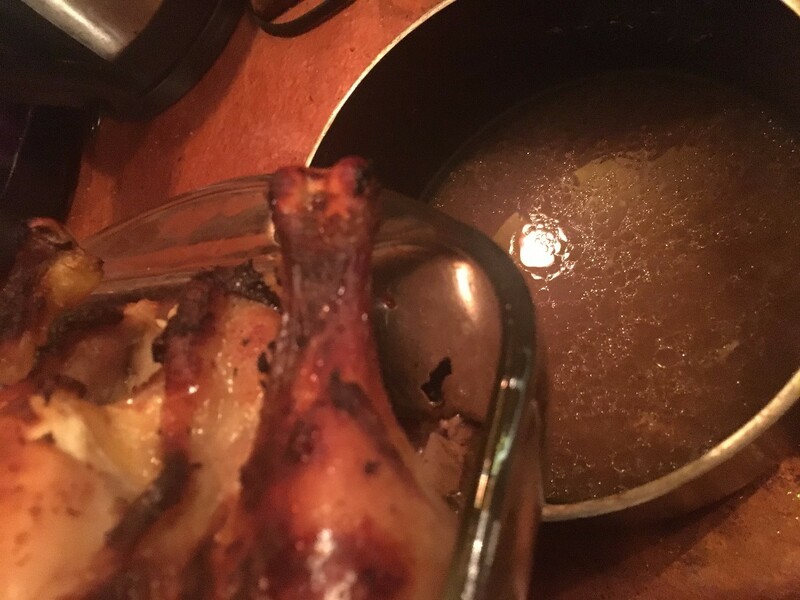 To make the glaze, add the other tablespoon of mustard to the chicken juices and bring to a boil at high heat. 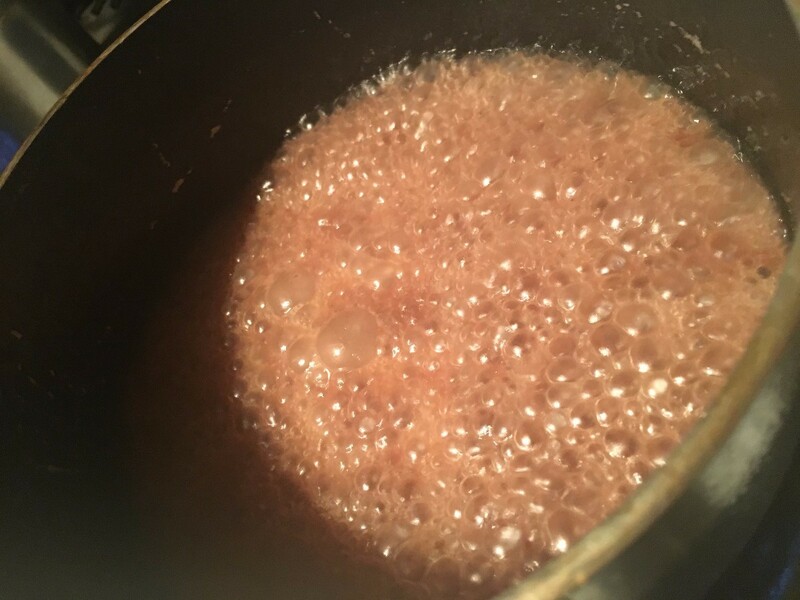 When it reaches a boil, set heat to low and let simmer until it reduces by half its volume. 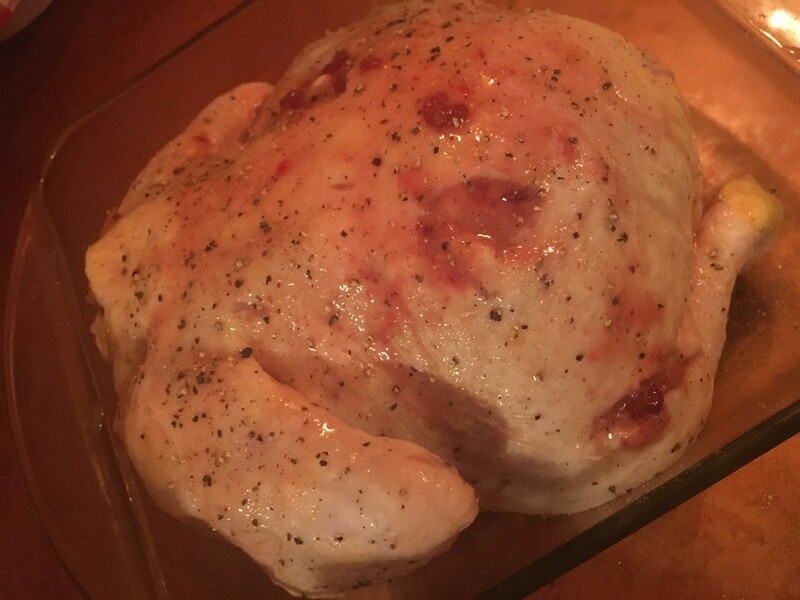 When the chicken is done (internal temperature will be 165F), remove from the oven. Add the last of the juices and scrapings to the reduction sauce. Serve chicken with reduction sauce and whatever sides you like. Enjoy!